A kata can be different things depending on what you are doing with it. 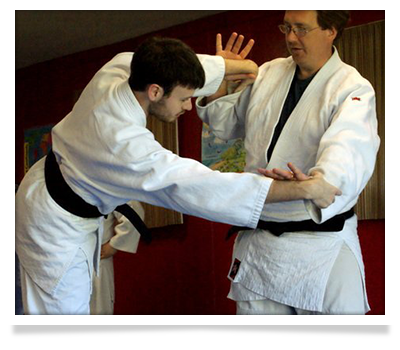 If you are demonstrating it to someone, the kata will be a different thing than if you are practicing it without an audience. We have practice forms and demonstration forms of kata. 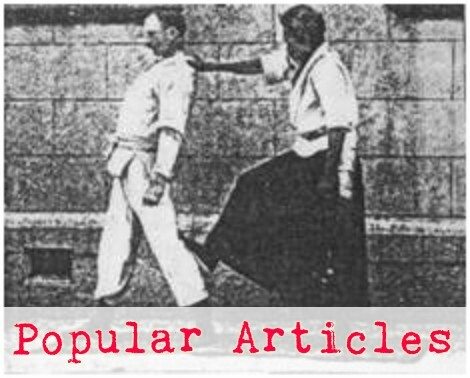 Demonstration forms of kata abide by different rules than do practice kata. 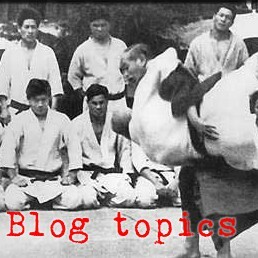 I have written about this "kata mode" before. Frequently, people that want to give a good demonstration will operate in kata mode during all their practices, allowing them to get familiar with these extra points and behaviors that make for good demos. Basically good embu people are always in embu mode. But there are potential problems with embu mode - things that you miss out if you always practice as if demonstrating to some external person. We have two modes for kata because there are two potential recipients of the communication. Sometimes the participants are communicating to the audience about the kata and the art, and sometimes the art consists of the kata communicating to the participants without consideration of the audience. In most of our kata, after each technique both participants move back to their origins on the embusen (the line of the performance). That's the way we practice (mostly so that we don't throw uke into other people's practice area on the mat) but it is also how we demonstrate the kata (so as to place the audience in the most advantageous place to see what we want them to see. But in Koryu dai Go, uke attacks immediately from where he just fell without first moving back to the embusen. So the embusen is different (and somewhat random) for each technique. The kata seems to wander around the mat. This makes Gokata somewhat non-optimal for demonstration in embu because the audience's angle is always shifting, but it makes it an excellent exercise in connection and zanshin.